I’m pretty sure y’all heard all of the buzz surrounding the new Fenty Beauty Beach Please Collection by now. Particularly the Body Lavas. 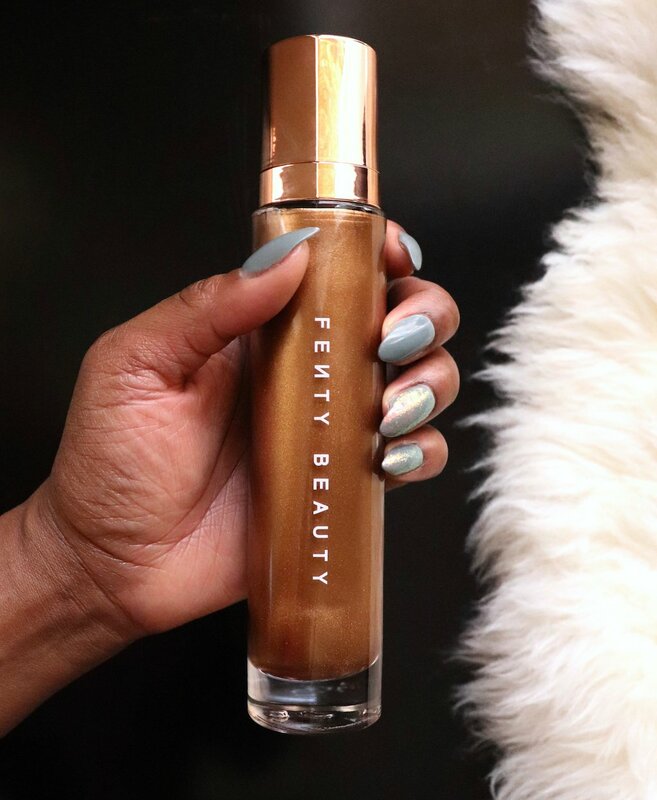 The Fenty Beauty Body Lava is a gel based body luminizer. I contemplated not purchasing as it was more coins than I wanted to spend at $59. But I just finished my MAC To The Beach Bronze Body Oil that I bought in 2010. So I know this type of product will last a very long time, making it well worth the price. At least for me. The Body Lava comes in two shades, Who Needs Clothes?! and Brown Sugar. 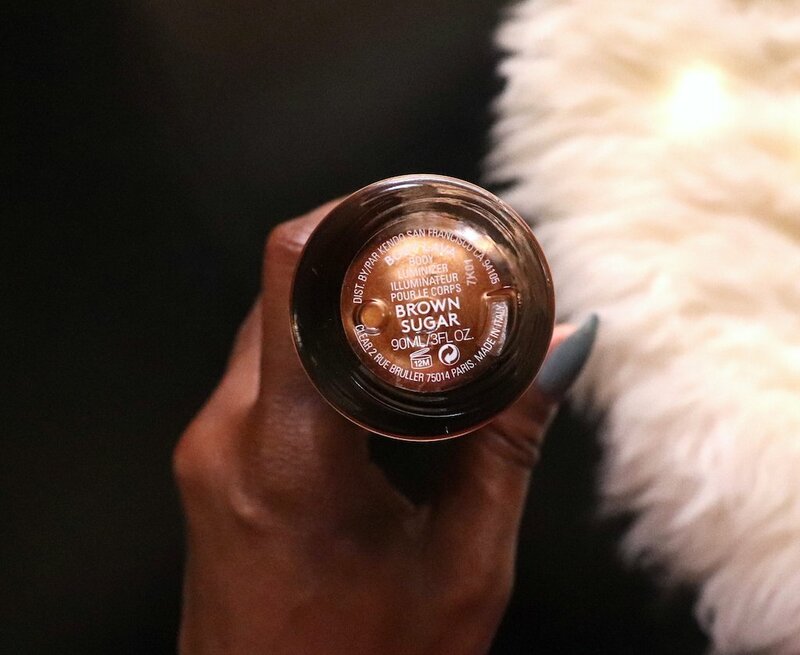 I decided on Brown Sugar. First let’s talk about the bottle. It’s huge. You get 3 flat ounces of product. It takes about 3 pumps to cover your chest and arms. Of course you’ll need more if you’re covering your entire body. The bottle is made entirely of glass. Although it’s heavy glass, I don’t know if it will survive a drop. So I’ll be extra careful. There’s a pump attached to dispense the gel and it releases the perfect amount. The Brown Sugar Body Lava is a glistening bronze. 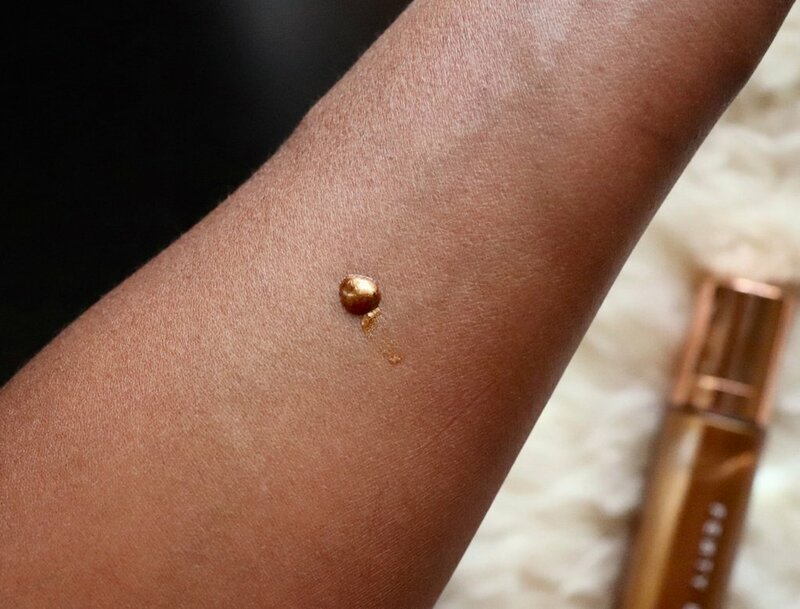 It leaves the skin with a bronze sheen and visible bronze reflects when applied. Giving the skin a natural looking glow. Like you’ve been kissed by the sun. The Fenty Beach Please collection also includes a Face & Body Kabuki Brush to apply the Body Lava. 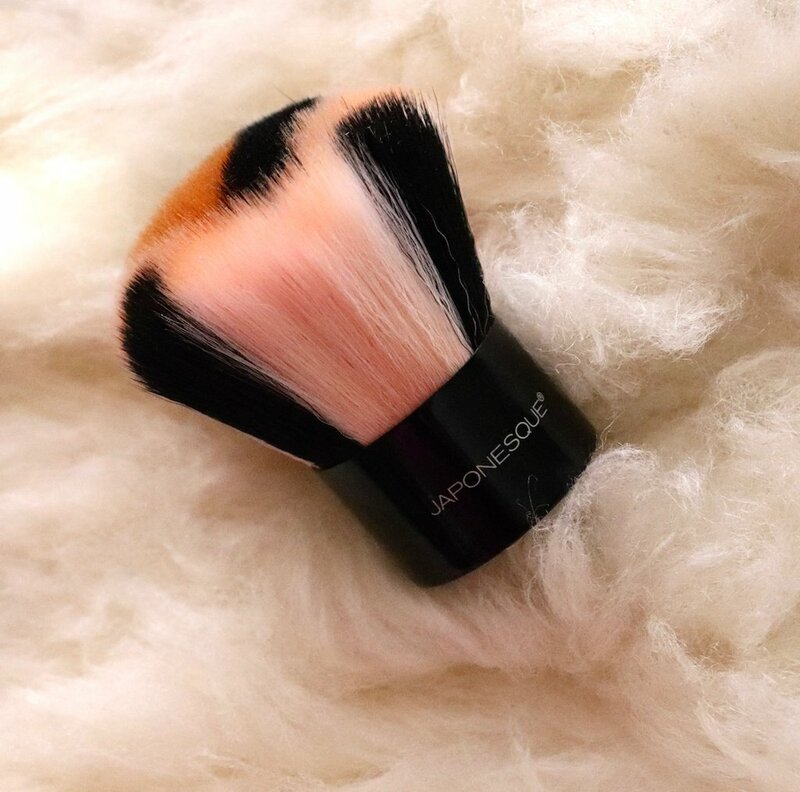 But I just use this little bronzer brush that I got from Japonesque years ago. I put a few drops of the Brown Sugar Body Lava on a metal palette. Then swirl it on a little at a time. 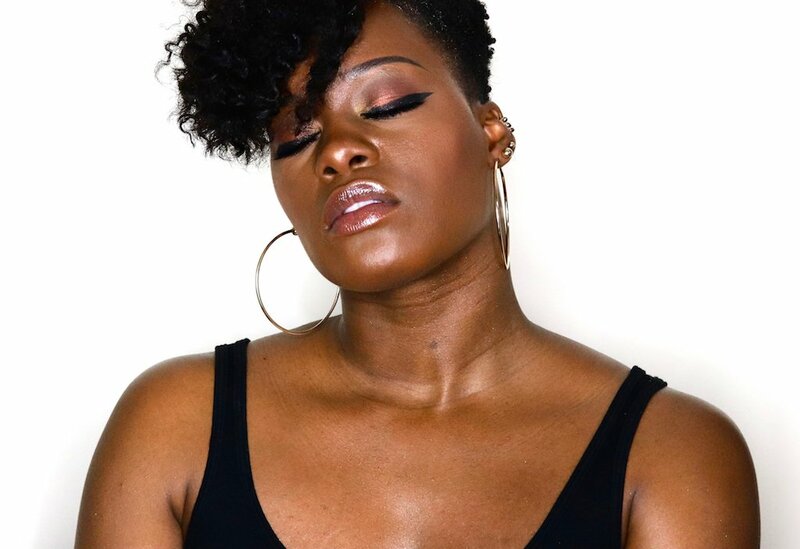 The body lava is a gel, not an oil. So it has an almost honey like texture. Slightly sticky. And it stays that way. You will attract lint, hair and everything else if you put on too much. You may even attract bees. So use sparingly. I’m going to try to set with a little powder and see if that helps. I don’t suggest putting clothes on over the gel as they might get ruined. So get dressed first and use on areas where skin is exposed. I typically only use products like this on vacation and trips to the beach. Or Summer Nights On The Town when I have more skin exposed than usual. 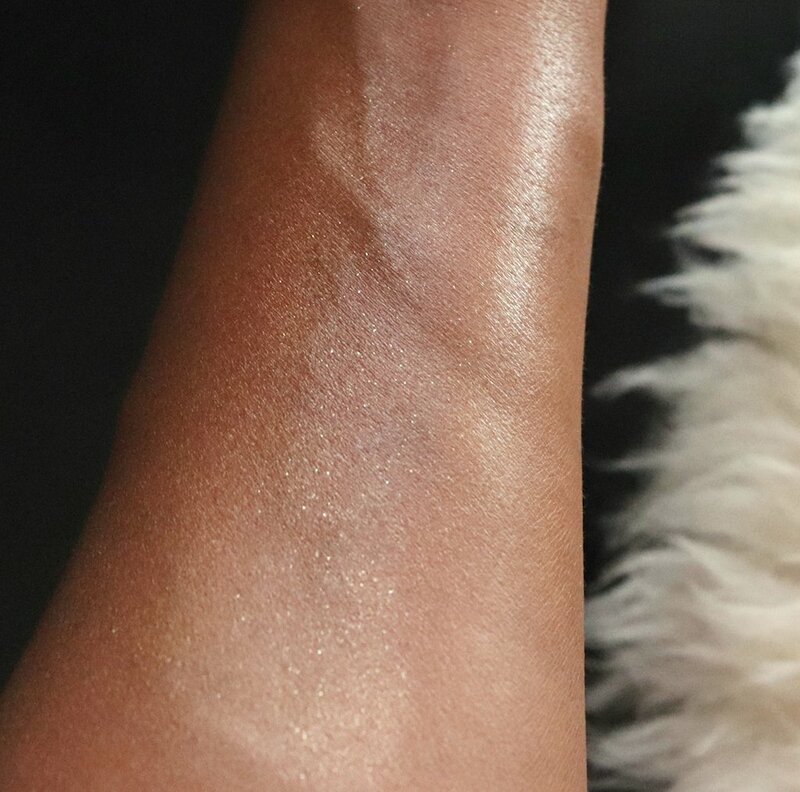 Overall I really like the Fenty Beauty Brown Sugar Body Lava. I’m not sure if I love it though. I have to use it a few more times and get used to the texture. I do however love the glow it gives. 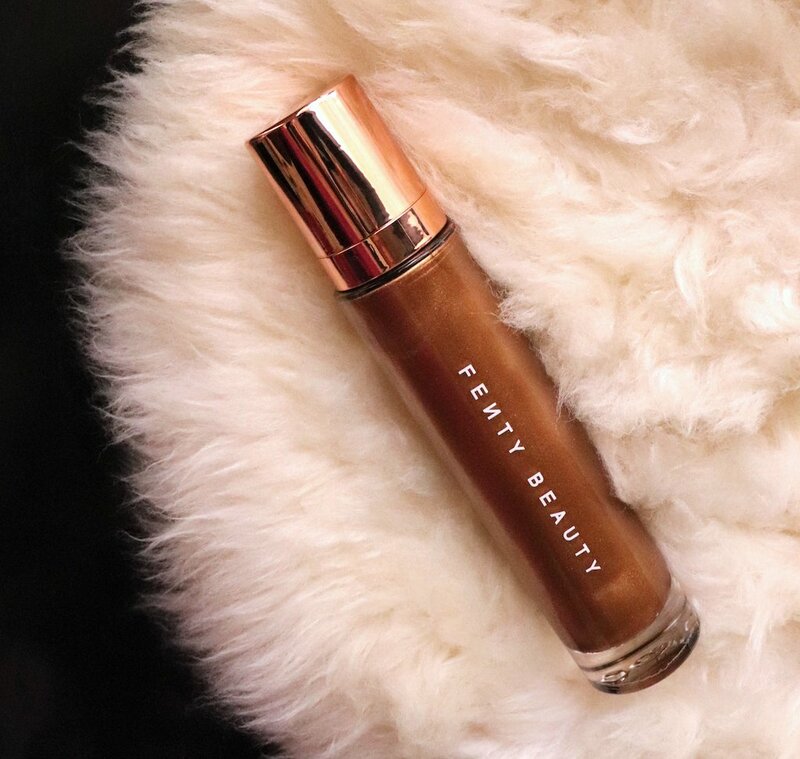 The Fenty Beauty Brown Sugar Body Lava is currently available at Sephora & sold out at Fenty Beauty. Stock changes daily so you’ll just have to try your luck. Or put your name on the email notification list. It’s limited edition so catch it while you can. The Fairybomb Glittering Pom Pom is also currently in stock if you’re interested. 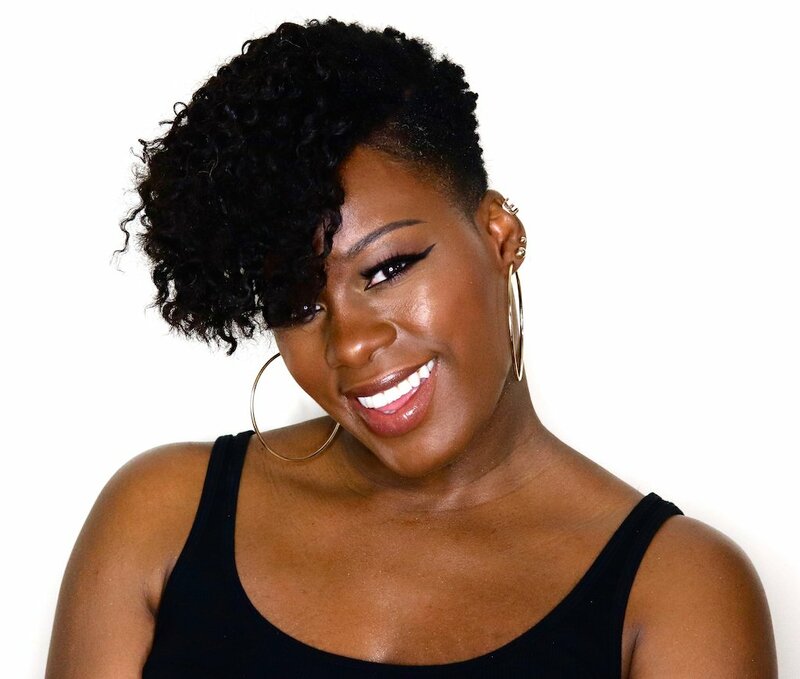 Use your Sephora VIB code for 10-15% off! Thanks for such a detailed review. I was going to purchase it but decided to wait until I read some reviews. I’m not so sure I need this because it’s a gel instead of an oil. I wish this was in stores so I could sample it.